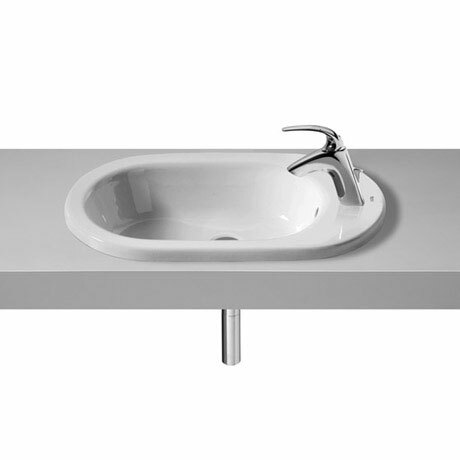 A designer recessed round 600mm basin from the Roca Meridian-N range of luxury bathroom pottery. Features elegant and functional curves. This versatile range has been manufactured from vitreous china with a white gloss finish. Comes with 25 year guarantee.